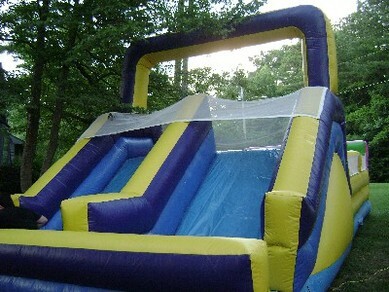 Inflatable obstacles courses are a fun, challenging addition to any event. 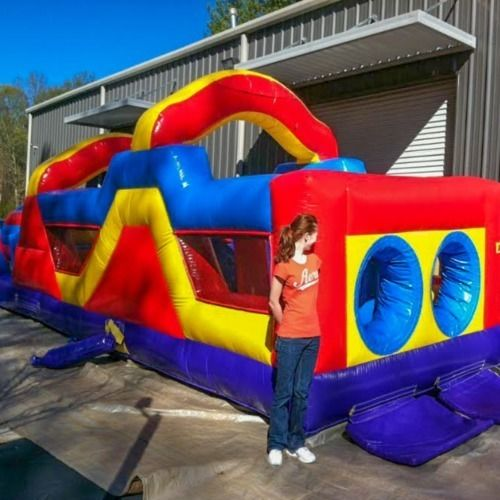 These inflatable obstacle courses provide hours of fun for kids and teens. Your guests can challenge each other in timed events or just enjoy exploring the different aspects of the inflatable obstacle course. Kids and adults compete by entering the course through a 4’ opening in one of its 2 lanes. Fighting their way through several “thumb” obstacles, then crawling in/out a 4’ tube, they pop up to climb a 6’ wall, before exiting down an 8’ slide and landing on a padded surface and then running to the finish line only to start again. On your marks! Get set! Go!!! Jump! Crawl! Climb! Be the first one to the finish line as you have tons of fun competing against one another! The Caterpillar craze is one of our most popular interactive inflatables. Recommended for preschoolers thru 4th grade. 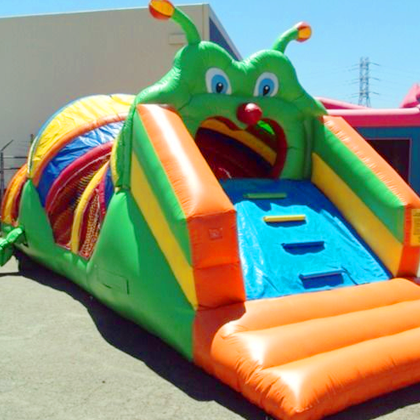 Kids will climb into the caterpillar's mouth by going up an inclined wall, then go down a slide to enter a play area. After they bounce around on the thumb obstacles, they can climb another incline, go down a second slide and exit by way of the caterpillar's tail. Because the entrance step in only 12', this unit is especially good for smaller children. The Caterpillar craze is one of our most popular interactive inflatables. Recommended for preschoolers thru 4th grade. Kids will climb into the caterpillar's mouth by going up an inclined wall, then go down a slide to enter a play area. After they bounce around on the thumb obstacles, they can climb another incline, go down a second slide and exit by way of the caterpillar's tail. Because the entrance step in only 12', this unit is especially good for smaller children!